← But does it taste better? 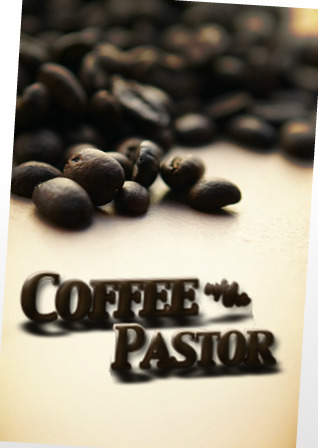 I recently highlighted some silly names of coffee shops located inside churches. 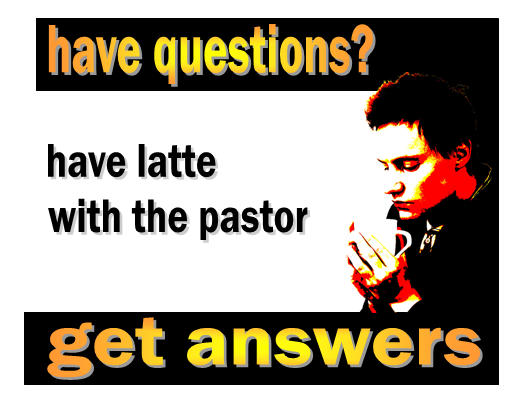 While this was a fun exercise, there does seem to be an epidemic of clergy wanting to drink coffee with parishioners. There’s nothing wrong with this — I do it all the time. 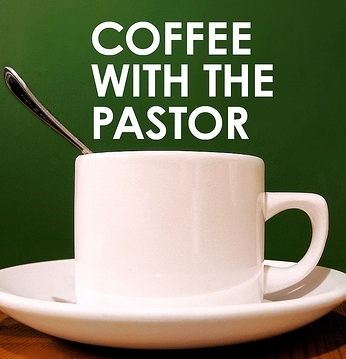 In fact, I have a program called “Coffee with the Rector” where I meet with small groups of parishioners to discuss life at St. John’s in an informal, interactive setting. Sometimes I even hold “office hours” at the local coffee shop and encourage parishioners to drop in for a chat. But I’m clearly not the only priest/pastor/minister who likes to do this. I’m not sure if it makes clergy feel like an “average joe” or if a program titled “Whiskey with the Rector” just wouldn’t fly. Something about coffee seems to break down barriers between people and opens the way to conversation. It might be the ritual of coffee preparation/drinking or maybe it helps to have something to do other than stare at the person across from you — something akin to having a good conversation with your teenager while driving. I do like “Whiskey with the Rector.” LOL And I have. I had a big, burly Aussie Priest named Fr. David. We would sip Jameson and talk theology. It was awesome! I think it enhances the fellowship all around if the rector and curate can enjoy sipping their favorite beverage during social conversations whether fruit of the vine (work of human hands), Dr. Pepper or a good French roast.